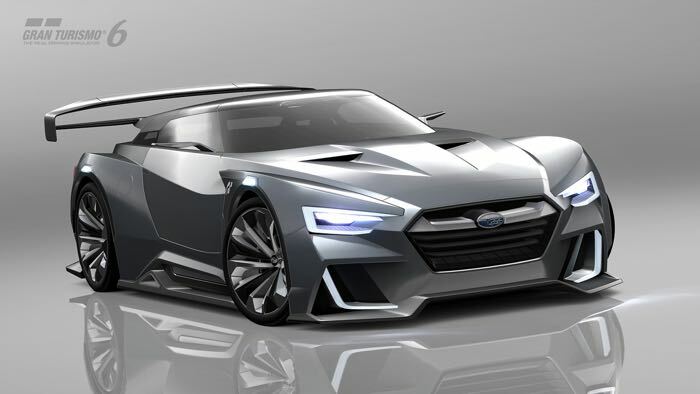 The other day we saw the new, Chevrolet Chaparral 2X, and now Subaru has released their latest concept which is headed to Gran Turismo 6 on the Playstation 3, the Subaru Viziv GT Vision Gran Turismo. 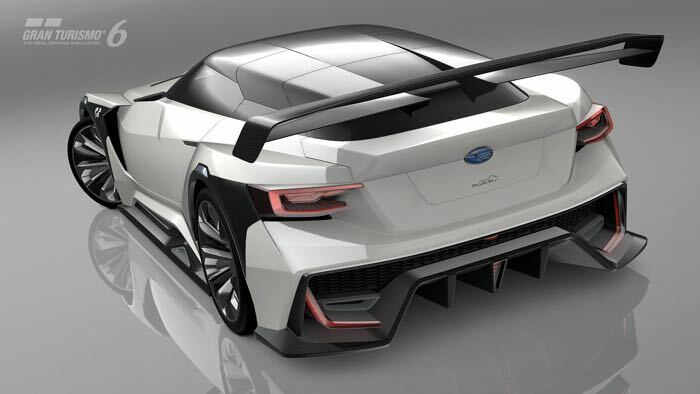 The new Subaru Viziv GT Vision Gran Turismo will land on the PlayStation 3 when the Gran Turismo 1.14 update is released, you can see more details about the car below. Vision Gran Turismo is a revolutionary project established for car enthusiasts all over the world. 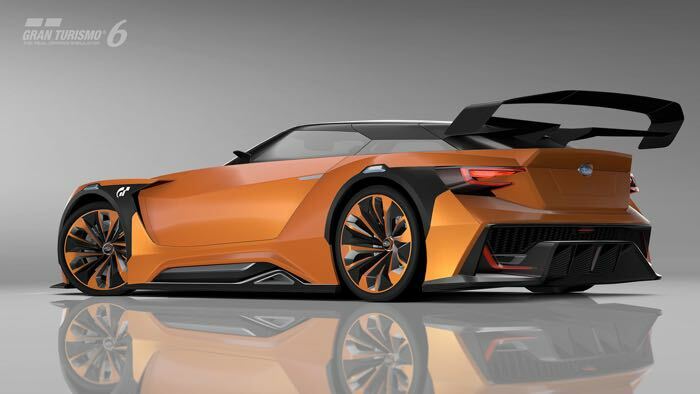 The car provided by Subaru for this dream project where the world’s car manufacturers and brands develop concept cars in the game world, is an ultimate sportscar carrying Subaru’s concept car motto “VIZIV”; Vision for Innovation. 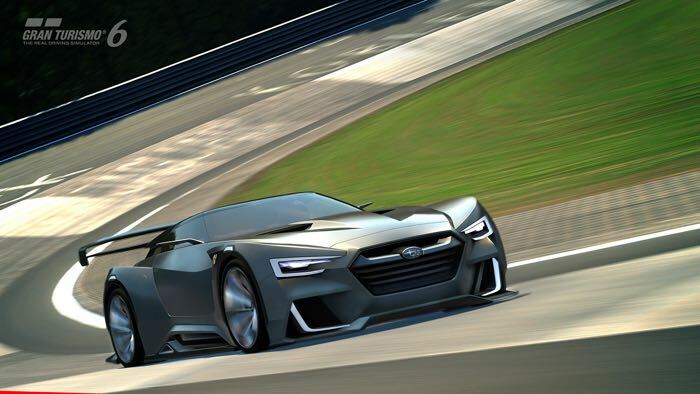 The car is called the “SUBARU VIZIV GT Vision Gran Turismo”. Inheriting the design language of Subaru’s “SUBARU VIZIV 2 Concept” revealed at the March 2014 Geneva show, the Subaru design team have added dynamic and solid shapes to the model. Its shoulder line extends from the front hexagonal grill all the way to the rear. Its tough looking body seems as though it was carved from hard, solid metal. And with blister fenders extending its shape three dimensionally outward, it visually expresses Subaru’s pursuit of a safe and enjoyable driving experience. Its large diffuser, the roof integrated rear spoiler, and its shooting brake silhouette which accounts for aerodynamic performance, will surely stand out among others in the game. 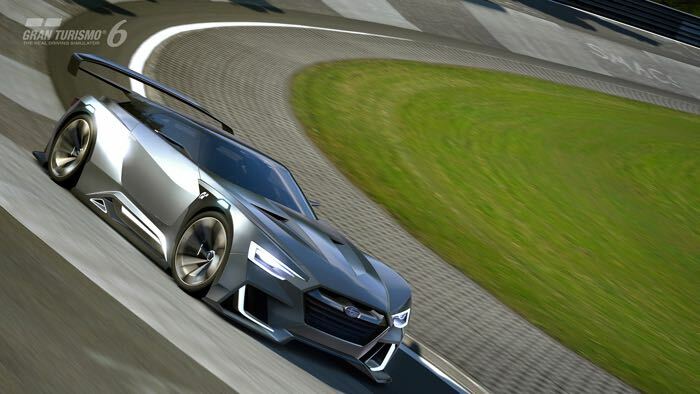 You can find out more information about the new Subaru Viziv GT Vision Gran Turismo for Gran Turismo 6 over at the GT website at the link below.